From the Riverwalk to Miller Park, this Milwaukee Postcard stands out in a truly Genuine City. 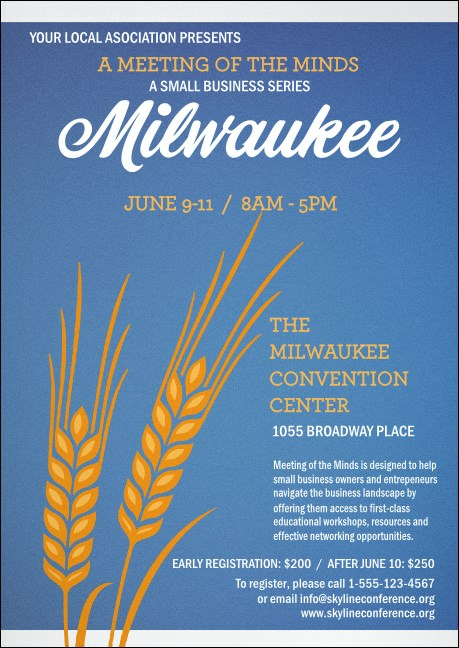 Golden stalks of grain reach up into a beautiful blue background, bringing together two of Milwaukee's favorite tradition - Beer and the Milwaukee Brewers. With a matching Event Kit, this postcard is a great addition to your Cream City event. Draw attention to your Milwaukee events with the right postcard from TicketPrinting.com.